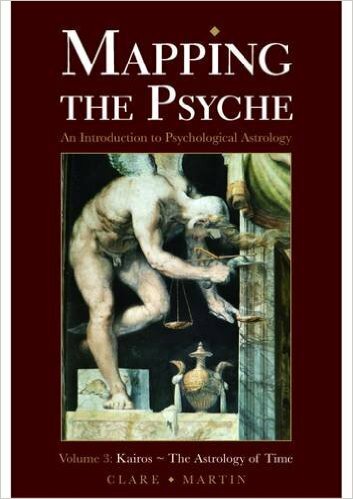 Mapping the Psyche is a three volume introduction to psychological astrology, based on the transcriptions of a course Clare taught for many years at the Centre for Psychological Astrology. This volume is an introduction to astrology’s symbolic language, exploring the planets, signs, houses and aspects in the natal horoscope. Volume 2 introduces the planetary aspects and the houses of the horoscope. Readers will come across psychological terms such as projection, archetypes, synchronicity and the collective unconscious, and the audience participation in these seminar style books ensures that these terms are fully explained and illustrated with personal examples. In this long awaited third title in the series, Clare Martin gives an introduction to timing in the chart through the use of planetary transits, returns, progressions and directions. “As students of Clare Martin, and readers of her two previous books, will recognise, Book 3, covering transits, returns, progressions and directions, is once again both immediately accessible and profound…. A clear understanding of the process provides the reader with an opportunity to consciously align their lives with the movements of the heavens. In this way, the book offers not only a crystal clear exposition of astrological mechanics, but a genuine “map” for students to follow. It also excels as an invaluable reference source for experienced astrologers to cherish.” Teresa Early, Dip.Psych.Astrol. You can order the books from Amazon at www.amazon.co.uk or from the Wessex Astrology website. Copyright © 2019 Clare Martin. All Rights Reserved.